An icon in mobile technology redesigned for today. 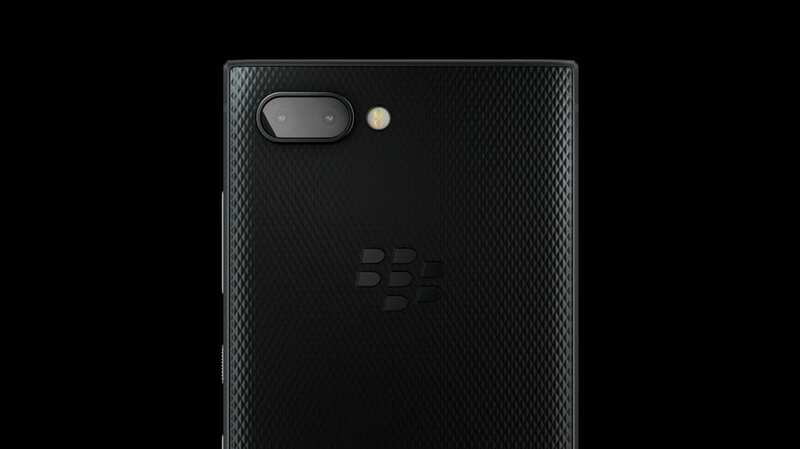 The BlackBerry KEY2 is an Android-powered smartphone that brings the best of BlackBerry forward with premium design, innovative new features, and an unsurpassed level of privacy. The iconic design of the BlackBerry KEY2 is built to last using premium materials including a durable series 7 aluminium alloy frame, a diamond grip non-slip textured back, and a stunning 4.5-inch touch display made with Gorilla® Glass. Feel the difference, with BlackBerry’s most Intelligent Keyboard ever. Redesigned to help you do more, confidently, with premium materials for improved impact and scratch protection. The BlackBerry KEY2 is designed specifically for those driven leaders who are shaping culture, transforming industries, creating movements, and raising the bar in an effort to achieve more in today’s competitive environment. The BlackBerry KEY2 has the power to match the ambition of its user, thanks to an impressive battery giving the BlackBerry KEY2 up to 2 days of life on a single charge. With the new smart battery experience, the BlackBerry KEY2 will learn from your daily charging habits and recommend when to charge so you have the battery power to get through important meetings, trips, and events. Qualcomm Quick Charge® 3.0 enables up to 50% charge in just 36 minutes. Turbocharge your battery and get power fast, to do more, when you need it most. An exciting innovation for those who demand more. The BlackBerry KEY2 introduces the all-new Speed Key. Instantly jump from Instagram to Twitter, call your favourite contact, access your calendar, check your route home, all without having to return to the home screen or swiping endlessly. Get there faster, with BlackBerry’s Speed Key. It also features BlackBerry Hub® which brings all your messages into one consolidated place – including emails, texts and messages from almost any social media account; including WhatsApp. These features, along with a long-lasting battery make the BlackBerry KEY2 a powerful tool for maximizing productivity. Legendary commitment to security from BlackBerry continues on the BlackBerry KEY2 with a built-in DTEK™ by BlackBerry privacy monitoring app, BlackBerry’s new Locker feature, and monthly security updates from Android, all delivered to ensure you have the power to protect your privacy, right out of the box. Discretion & privacy are at your fingertips thanks to the Locker that gives you the power to instantly store and protect photos, conceal apps & files and keep sensitive data under your control. New to BlackBerry Locker is private browsing that auto-deletes browsing history upon exiting. Your Locker can only be accessed with the fingerprint sensor or your password, so you know it is in safe hands.